A Belgian court decided on Tuesday to postpone until September 25 the preliminary hearing for a lawsuit against the Spanish Supreme Court judge overseeing the independence case. Judge Pablo Llarena is accused by former Catalan president Carles Puigdemont and former ministers abroad, all living in Belgium, of being partial and biased in his handling of the trial against the politicians that organized last year’s independence referendum. On Tuesday, Llarena was summoned to appear in a Belgian court. However, the judge refused to attend and was instead represented by a lawyer hired by the Spanish government. 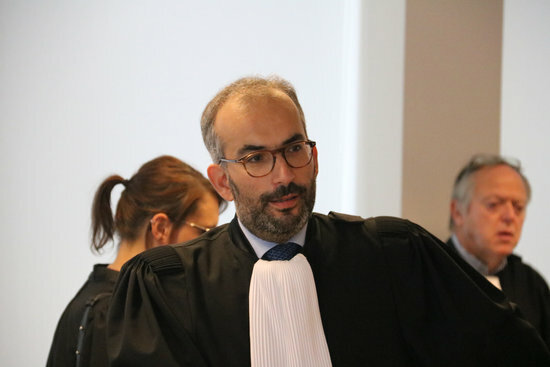 The lawyer urged the Belgian judge to accept the case being analyzed by three judges and not only one, and also asked for a postponement. The new preliminary hearing is now set for September 25. Llarena’s lawyer: "It’s an exceptional case"
Explaining the need to postpone the hearing, Llarena's lawyer, Hakim Boularbah, said: "I will speak in the name of Spanish state but that requires an official document." Boularbah also said that Llarena’s defense had asked for three rather than one judge for the lawsuit because “it is an exceptional case,” and he added that Llarena will not have to appear in court in person. 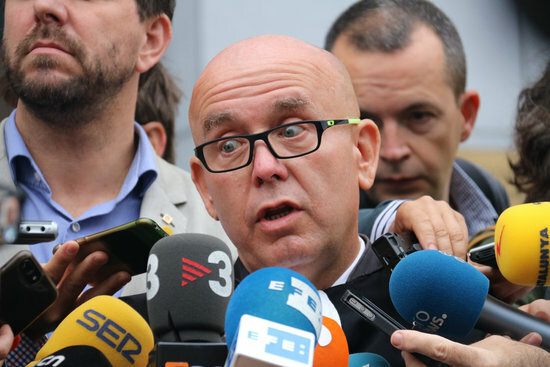 Puigdemont’s lawyer: "Everyone must appear in court"
As for the lawyer representing Puigdemont and his former ministers, Gonzalo Boye said the defense’s request for three judges was "correct," and he pointed out that in their place he "would have done the same." Nor did Boye have any objections to the hearing’s adjournment. However, Boye did challenge Boularbah statement that there would be no need for Llarena to appear in person. “Everyone has to appear in court on the day they testify,” he said. Although judge Llarena did not appear in court, pro-independence supporters tied yellow ribbons showing support for the jailed and exiled political leaders to railings outside the court building to “welcome Llarena.” Soon after 8am, however, a court worker removed the symbols.